Walt has been carving and creating avian and related art for over 15 years. He continues to study with World Class carvers such as Floyd Scholz, Larry Barth, Del Herbert, and Glenn McMurdo. 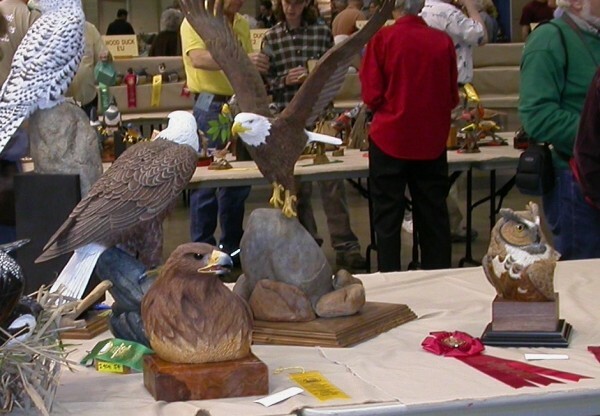 Walt has won significant awards at several prestigious competitions such as the Ward World Wildfowl Carving Championships, the Pacific Flyway, and the Desert Woodcarving Show. 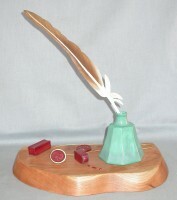 Walt was selected as the Featured Artist of the Year Desert Woodcarving Show and Sale in 2010. Since 2009 Walt has served as carving a competition judge for local shows in Arizona and New Mexico, and has taught several projects in the Carvers Oasis studio as well as at local club meetings. 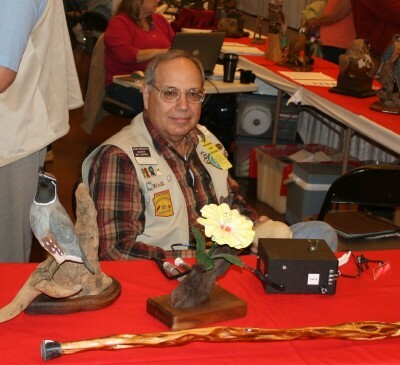 Walt continues to be involved in the Desert Woodcarving Show and Sale he served as Show Chairman and Treasurer, and has held many other show positions for several years. Karen has been show recorder for many years. 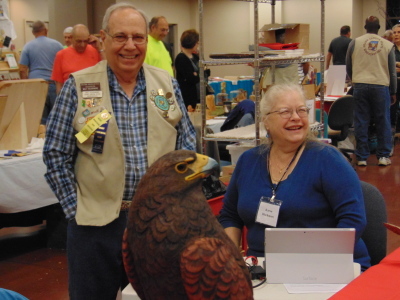 For several years Karen helped at registration and Walt served as a runner at the Ward World Wildfowl Carving Championships. Walt first learned to carve with Bob Comeau while Walt was on a job assignment in Montreal, Canada. After returning to Tempe, Arizona, and retiring, Walt took a Parks and Recreation carving class from Jack Naperala and met several local carvers with whom he continues friendships today. 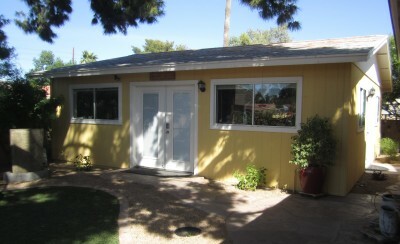 After a few summers of backing Karen’s car into the driveway so Walt could carve in the garage, Walt and Karen then decided to build a carving studio in the back yard. Karen insisted the studio have amenities such as a bathroom, refrigerator, and microwave. They never envisioned that the 24 foot by 26 foot studio would become a local gathering place for carvers and they never imagined that the studio would be ideal for hosting carving seminars, not only for the local show, but also for hosting seminars with world-class instructors in Walt’s areas of interest. Walt does not compete as much as he used to. However, when he does compete, Walt competes at the Intermediate Level for International Wildfowl Carvers Association sanctioned shows or other national and interntional shows. For local shows Walt competes at the Open or Advanced.